Welcome to the Volunt eering Illawarra website. 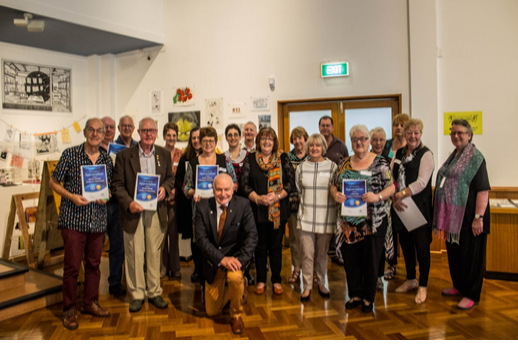 Volunteering Illawarra’s vision is to be a regional centre of excellence that promotes volunteering and the value of volunteers in the community. Our primary activity is the operation of a regional volunteer resource centre across the Wollongong, Shellharbour and Kiama Local Government Areas. We also provide training services in the Shoalhaven for managers, staff, volunteers and Management Committee Members. Volunteering Illawarra is a community service auspiced by Wollongong City Council, within the Library & Community Services Division. We are funded by grants from from both the New South Wales and Australian governments. Volunteering Illawarra employs a team of three staff and seven volunteers. Staff include a coordinator, referral officer and administration officer. The office is staffed Monday to Thursday, from 9.00am to 4.30pm. Interviews are conducted between 9.30am and 3.00pm, Monday to Thursday. If you are unable to attend within these times or have special requirements please contact the office on 4227 7163.